Looking for a list of things to see and do in Sitka? If you’re wondering how Sitka compares to other popular places in Alaska such as Juneau, Fairbanks and Anchorage, you’ll be glad to know that no other place in Alaska compares to Sitka! Sitka is truly a world of its own, and there isn’t a spot quite like it in Alaska where you’ll find Russian, American and Native heritage blending in so beautifully. There aren’t many US cities which can boast a national park so close to their city limits, and that’s what makes Sitka such an amazing place! Sitka National Park is the oldest and one of the best national parks to visit in the US, and without a doubt, one of the top attractions in Sitka. Besides being able to enjoy wildlife viewing, what really makes Sitka National Historical Park one of the top places to visit in Sitka Alaska is that it’s one of the best places to learn native culture and see native art. 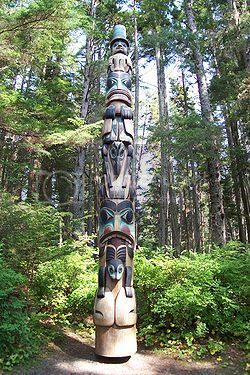 Sitka National Park boasts beautiful totem poles along the park trail, as well as a visitor center and an Indian cultural center where you can see ton of exhibits and watch artists’ demonstrations. Besides these, Sitka National Park offers ranger programs, and it's one of the best spots to see the migrating salmon and the migration of shorebirds between March and October. If you’re looking to see wildlife up-close, the Alaska Raptor Center is one of the best places to visit in Sitka Alaska for this. 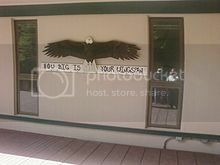 The Alaska Raptor Center is a sanctuary for injured birds, and offer interesting programs on bald eagles and other birds, as well as the chance to see the flight training center where injured birds practice their flight skills. The Sheldon Jackson Museum is another of the places to visit in Sitka Alaska and good place to learn and see more great Native American art on display. The Sheldon Jackson Museum also offers many summer programs such as the Alaska Native Artist Demonstrators Program where you get the privilege to observe and talk to Alaska Natives artists, and watch cool demonstrations. Whether you’re a history buff or not, you’d definitely want to add the Sitka Historical Society right at the top of your list of places to visit in Sitka Alaska. The main reason to visit the Sitka Historical Society is that it’s a great introduction to Sitka since the Historical Society also serves as a tourist center offering free maps of Sitka’s top attractions. Sitka Historical Society is also a great history museum with cool artifacts on display such as Tlingit art and Russian babushka dolls. St Michael's Cathedral is one of the most popular landmarks in Sitka, and one of the best examples of Russian colonial architecture in the city. St Michael's Cathedral offers a nice photo opportunity and the chance to see interesting Russian religious artifacts, as well as the opportunity to buy Russian ornaments to take back home. 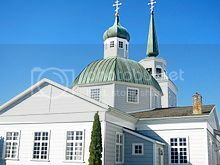 The Russian Bishops House is located on the way to Sheldon Jackson Museum, and it’s another of the popular places to visit in Sitka Alaska. 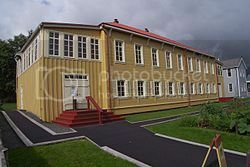 The Russian Bishops House has been beautifully restored to its original 18th century condition, and it’s perhaps the best place in the city where you can get an idea of Sitka during Russian colonial times. 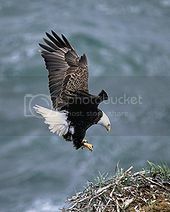 If you’re a true wildlife enthusiast, there is no doubt that one the best places to visit in Sitka Alaska for wildlife viewing it’s the island of Saint Lazaria‎. Saint Lazaria‎ Island is located off the coast of Kruzof Island, and even though it’s a fairly remote place, you can easily access it by local charter boat. The entire Saint Lazaria‎ Island is a wildlife refuge home to amazing bird nesting colonies and wildlife that you won’t see anywhere else in Sitka. If you like the idea of a trip to St Lazaria Island, you’ll be glad to know that there are plenty of local charter companies in Sitka to choose from. A few worth mentioning include Kingfisher Charters, Big Blue Charters and Sitka Fishing Charters, all of which offer everything from five-day or half-day fishing trips to three-hour long sightseeing tours.